Peel the plantain & cut in to small cubes. Grind coconut, cumin seed almost to a fine paste. Boil 2 cups of water with pepper powder, turmeric powder, salt & cubed plantain. Allow to cook until plantain is soft, add beaten yoghurt. Add ground coconut paste & mix well. 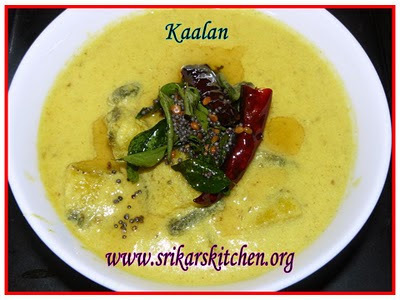 Add coconut oil in a pan, add mustard seed, urad dhal, red chillies, curry leaves, allow to temper & add to the Kaalan. really delicious one..i really liked the picture especially the seasoning..looks nice..
kaalan looks lovely and yummy! This is one of my favouritecurry with rice. Drooling here. 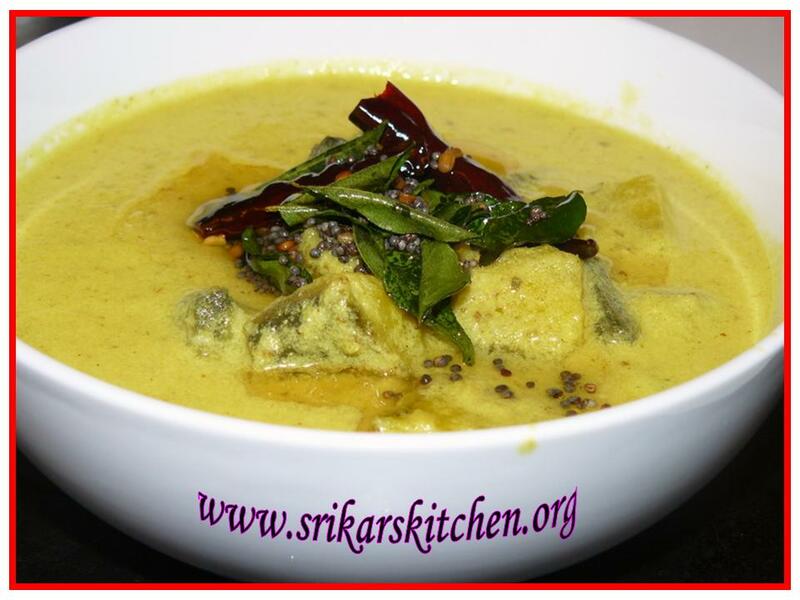 Wat an authentic dish, looks fantastic.. So delicious, love the color.